Movers hired? Check. Moving day scheduled? Check. Packed? Um... If your answer to this question is no, it's probably because you're overwhelmed by looking around at all the stuff in your home. 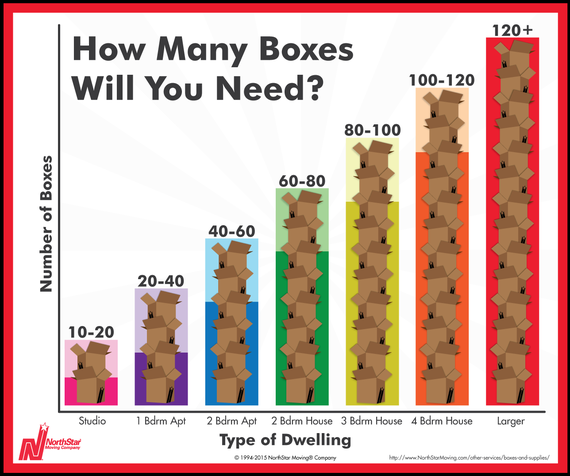 One of the most common moving questions is: "How many boxes will I need?" General Rule of Thumb: The longer you have lived in your home, the more stuff you will have accumulated. You know if you're a pack rat, now's the time to own it. 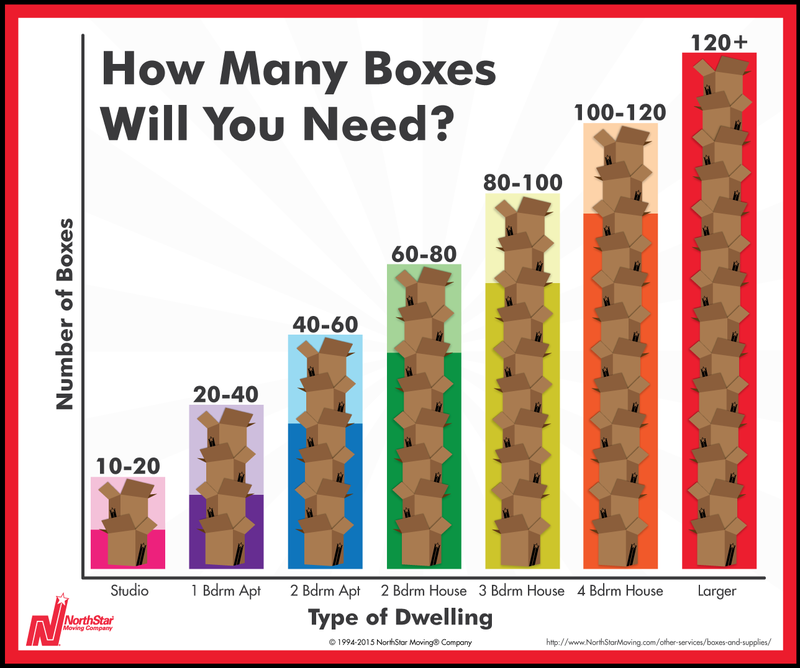 If you have lived in your home for more than five years, or are just NOT a less-is-more type of a person, buy the higher number of boxes for your move. Also, check with your moving company to see if they buy back unused boxes or will give you a discount on used boxes. Some moving companies will do both! Check with the movers first, and then stock up! Remember to ask for moving boxes made of 100 percent recyclable materials. Using the right packing supplies and techniques will assist you in getting your treasures all in one piece to your new home. For more packing and moving box and supplies tips (including how to pack videos) visit here. Happy Packing! This is one time you don't want to say: "I crushed it!"